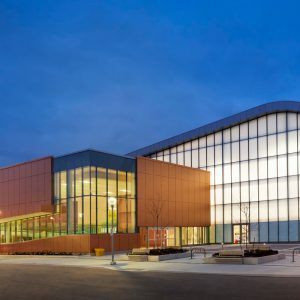 Abilities Centre - Walters Group Inc. 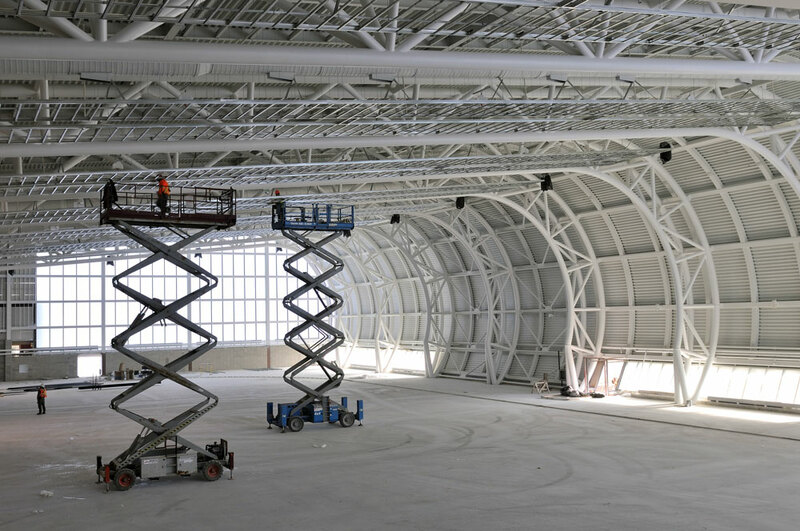 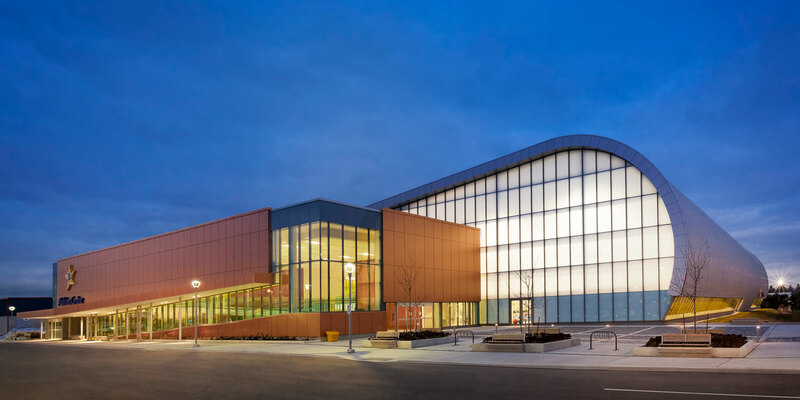 The Abilities Centre is a visionary project that aspires to provide an inclusive, integrated and fulfilling experience for Canadian citizens of all abilities. 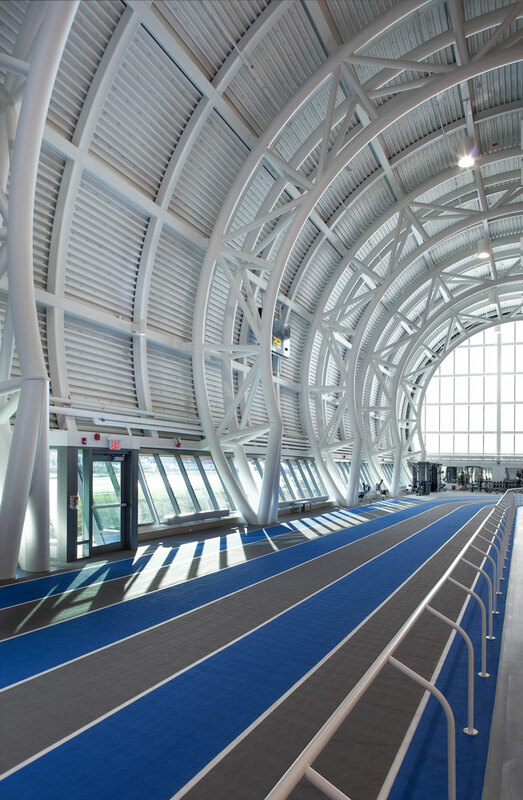 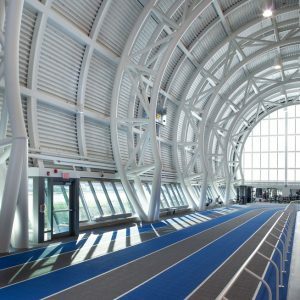 The facility was completed in 2012 and was a featured venue in the Parapan Games component of Toronto’s 2015 Pan/Parapan American Games. 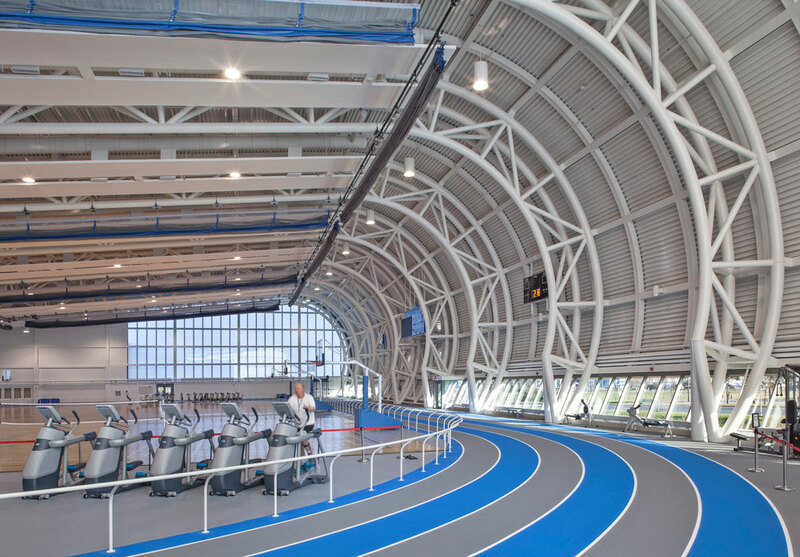 The expanse of the building and intricate AESS design creates a space that is truly inspiring for both athletes and spectators. 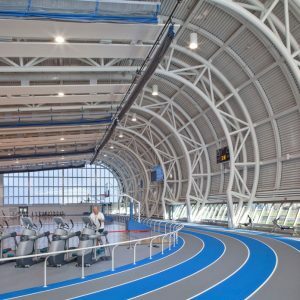 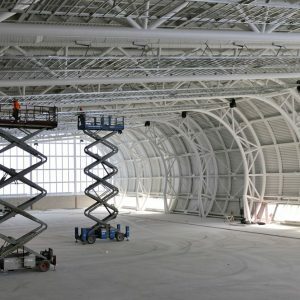 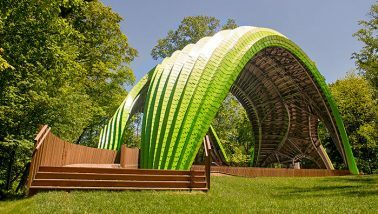 The primary feature of this multi-use complex is a large gymnasium covered by a series of complex tri-chord curved steel trusses. 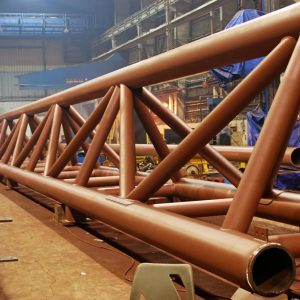 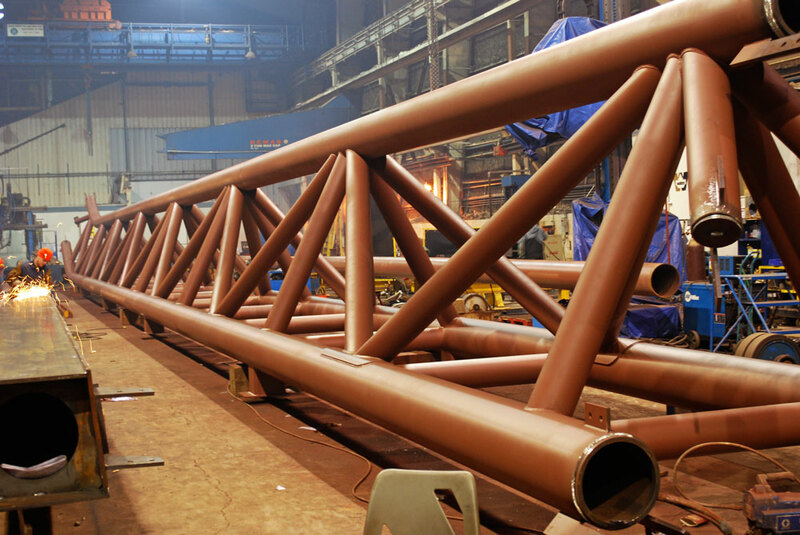 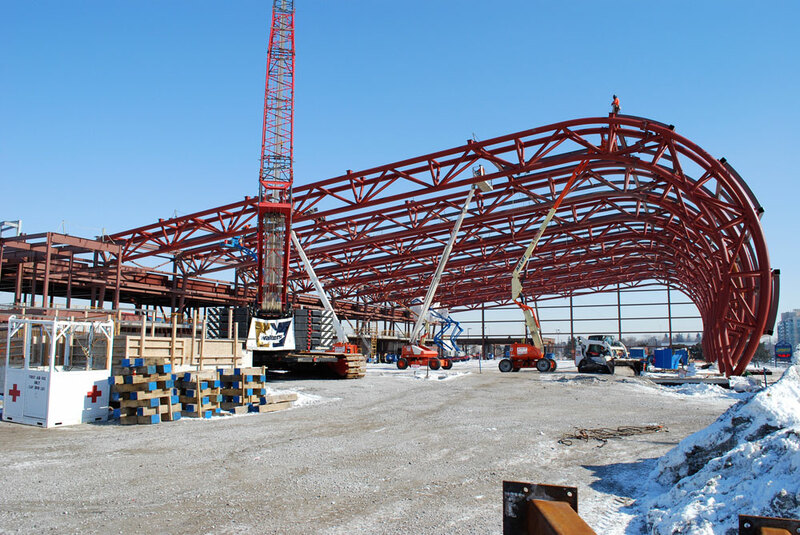 These trusses were fabricated in Walters plants and brought to the site for pre-assembly using a dual crane strategy, then fully field welded to ensure a seamless appearance. 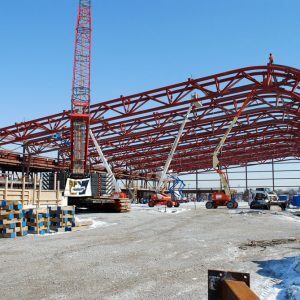 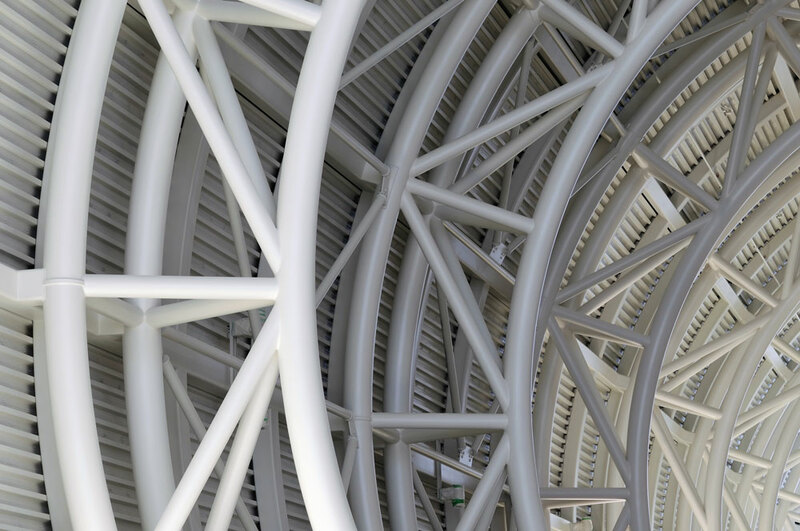 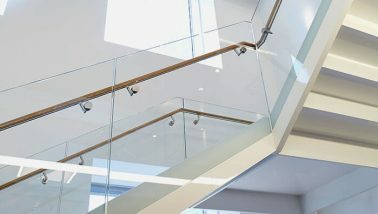 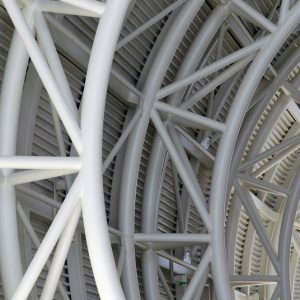 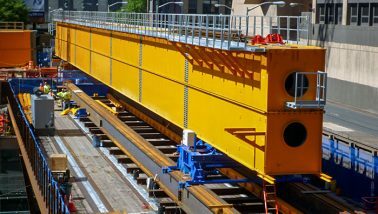 Strong collaboration between the architects, structural design engineers and the steel construction team was required to rationalize the design to meet budget and schedule constraints.